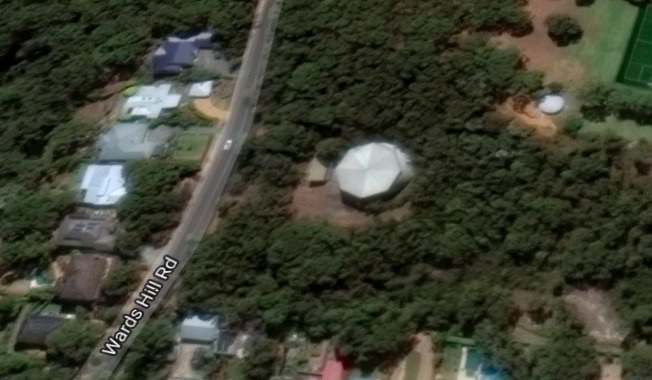 The Council water tower at Wards Hill Rd at Killcare Heights is the proposed location for the mobile phone tower. Image: Google Maps. The two sessions will be held on December 6, at the Killcare Surf Life Saving Club, with the first taking place from 2pm to 4pm and the second from 5pm to 7pm. “Optus and Vodafone Hutchinson Australia are currently building new mobile network infrastructure across NSW to expand and improve 4G telecommunications services,” said session coordinator Mr Benjamin Davies. “Killcare is not currently serviced by a dedicated Optus, Vodafone or Telstra mobile facility, resulting in poor network coverage in and around the Killcare Heights area. “In an attempt to rectify this, Optus, Vodafone and Telstra propose to install transmitters at the Central Coast Council owned site at 37 Wards Hill Rd, Killcare Heights. “The proposal requires the erection of a monopole on which equipment can be installed. “Members of the community may have questions about the proposed telecommunications facility and its proposed location. “The community information sessions will allow residents to discuss the proposed facility and alternative sites that Optus, Vodafone and Telstra have investigated and examine more information about the proposed facility,” Mr Davis said. Also present at these sessions will be an independent expert on the current Australian standard relating to electromagnetic energy emissions from telecommunications facilities.